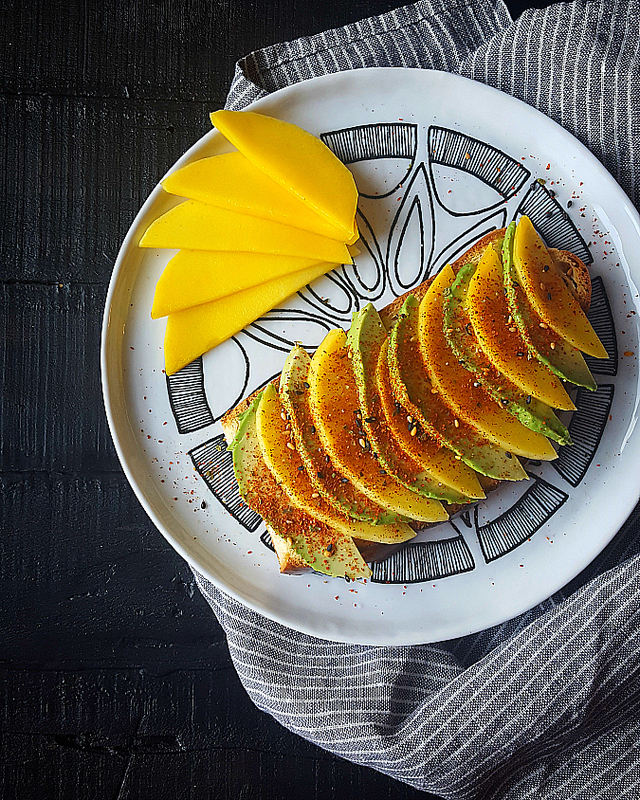 If you love avocado toasts as much as I do and are looking to make a few upgrades to this well-deserved food trend, you need to make my Avocado & Mango Toast With Togarashi. 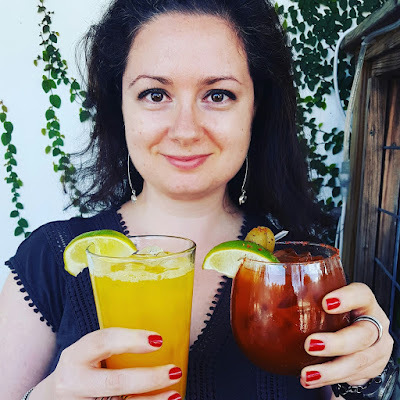 I write about my food obsessions quite a bit. Avocado toast. Savory oatmeal. Halva. Well, add togarashi to that list. 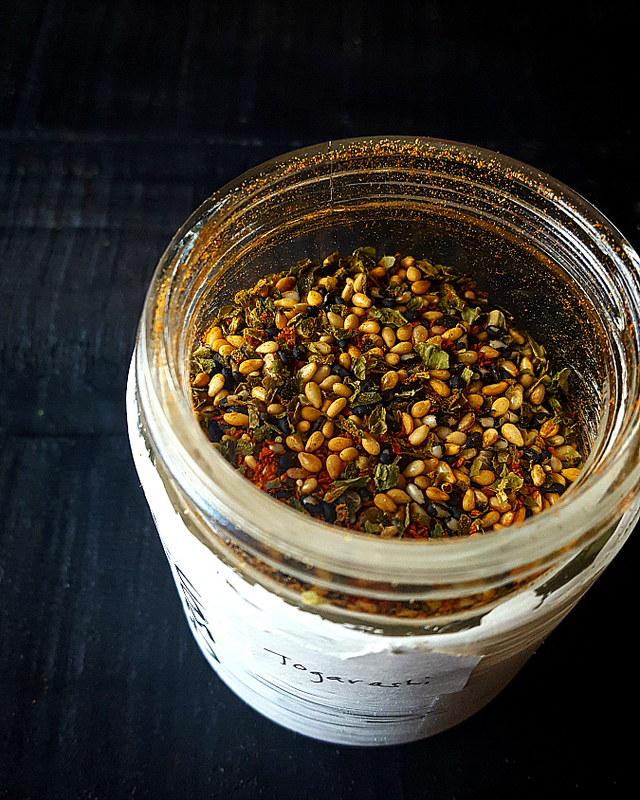 Togarashi is a Japanese mix of seven ingredients that includes chili peppers, poppy seeds, sesame seeds, nori and mandarin peel to name a few. I found a jar of togarashi in my spice cabinet and decided to start experimenting with it. I'm a fan of the bright color, the distinct flavor and the variety of textures packed into one jar. 1. 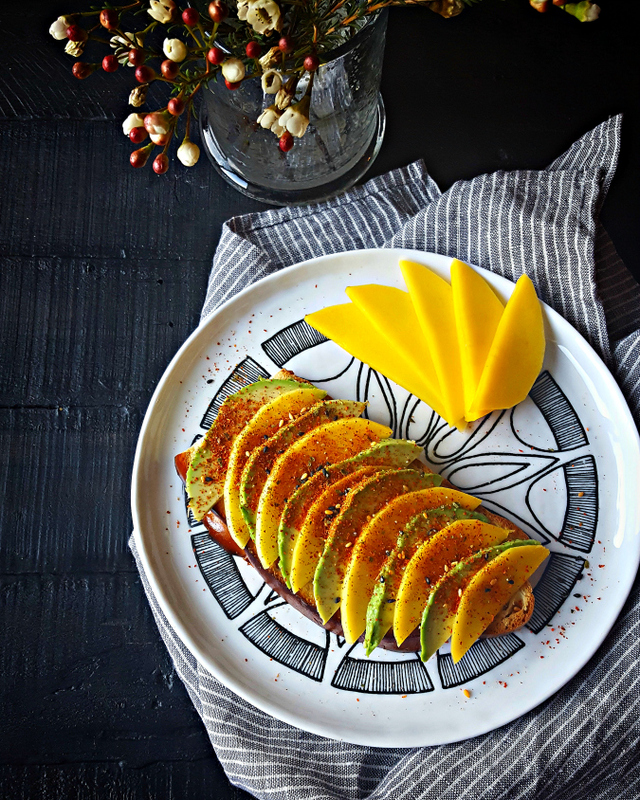 Top challah toast with alternating slices of avocado and mango. 2. Sprinkle the toast with salt and togarashi. Sweet, savory and spicy: you get it all in one bite! Stay tuned for another recipe featuring togarashi! 1) what's your favorite take on avocado toast? 2) how do you like to use togarashi?